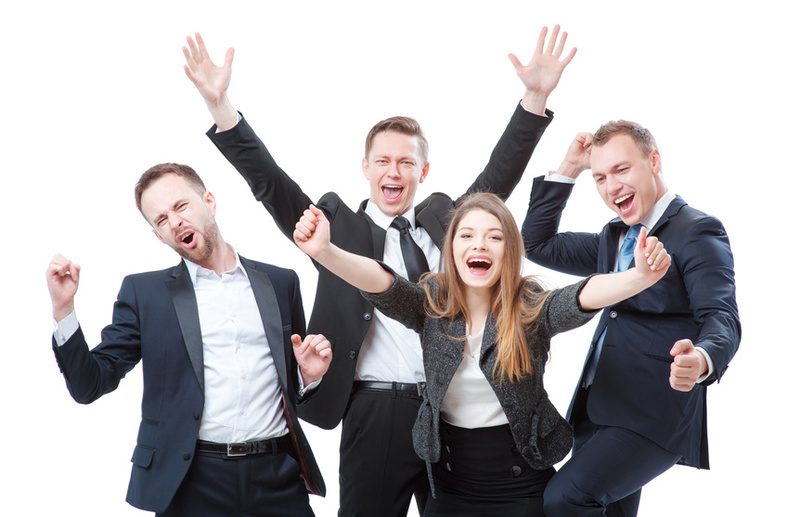 In this post I will show you how to ensure the awards and other recognition you give to employees are meaningful and celebratory for each recipient. Part of the solution here is learning how to give an award or gift in a way that is meaningful and celebrates the individual. It’s essential to prepare well in advance for presenting any form of recognition to employees so they will feel honored by your actions. Why are you having this recognition presentation or event? What do you want to accomplish or see happen as a result? Is there a particular message that needs to be communicated? How have you celebrated people in the past? What have you learned from past celebrations? How is the company doing financially, performance-wise, and people-wise? Where are morale and engagement levels right now? The better prepared you are the more meaningful you can make the recognition! Now you must think about how you plan to recognize employees and make your presentation a celebration. Have you thought about the three time periods that occur throughout entire recognition experience? These three celebration time periods consist of before, during and after. Before: Do you just plan for what you need to do before the recognition event takes place? During: Do you only plan for what happens during the presentation? After: Should you plan anything for after you’ve given the recognition and celebrated together? Now think back on previous celebration events. What stages have you typically planned for in the past? Part of the planning process includes thinking about ways to recognize an employee better at the different times. Frame your plans around before, during and after recognizing them. Arrange for someone to take photographs. Captured memories are priceless. Advise them of the presentation and provide them with all the necessary details. Invite the recipient’s spouse or significant other so they can share in the experience. Give them a chance to speak if they wish after the award or recognition has been given. Present slides of the individual’s accomplishments if that is appropriate. Ensure the most meaningful person to them presents the award for a lasting impact. Send photo of recipient receiving their recognition or award with a note card from you or the most meaningful leader. Send letter of congratulations from senior leader to their home. Post a recording of the event online for others who were unable to attend. Find out specifically what would make the recognition presentation most meaningful to the recipient. What is their recognition preference? To be publicly recognized? Privately recognized? Or maybe they have no recognition preference. If they prefer private recognition, do they prefer immediate manager one-on-ones or written acknowledgements only? If they prefer public recognition, do they prefer small groups of peers or a large group including others from the company? You should also determine if they like surprises or senior leadership presence during recognition to ensure the presentation is most meaningful. Regardless of how you present recognition, the following guidelines will assist you to ensure your employee feels properly recognized. Explain the importance of the award or recognition. Share a story about the significance and meaning of the award. Explain the criteria or reasons for earning this recognition. Highlight the recipient of the recognition. Give some insights and background on the recipient. Describe positive attributes of the individual in meriting this recognition. Describe how the individual’s contributions made a difference to people and the company. Present the award or tangible recognition item respectfully. Pronounce their preferred name correctly ensuring you have practiced any challenging pronunciation ahead of time. Treat the award or gift respectfully and give to the recipient with care because it will be precious to them in many ways. When you are ready to give the award, call the recipient up to the lectern. Stand so that the audience can clearly see the recipient, yourself, and the award. Is Your Event A Presentation Or Celebration? Consider the following example. An employee, John, merited an award from the regional office and went on to receive a nomination and eventually win the national award as well. He described the regional recognition event as a “celebration” and the national event as a “presentation”. Let’s take a look at the differences below between John’s perception of what made the two events either a celebration or presentation. Make note of what you can learn from this employee’s experience. With John’s example above you saw some clear differences in perception between a celebration and a presentation. You want to aim for creating a celebratory recognition experience each and every time. You want to aim for creating a celebratory recognition experience each and every time. While respecting the individual’s expressed wishes, you can brainstorm the simple ways and actions that can add a touch of surprise to a celebratory experience. Invite a meaningful individual, such as a senior leader, a special customer or vendor representative, to make the presentation. Personalize the gift with the individual’s name and thoughtful expression known to a few. Invite family members and significant others. Video-record the whole presentation and take photographs. Arrange for the recipient’s favorite foods to be made or purchased. Interject the presentation into an unexpected event such as a summer picnic. To add some final touches to your meaningful celebrations get your employees‘ senses tingling. Strive to impact each of the five senses to make this a truly celebratory recognition experience – whether on a small or grand scale. View and think through the possibilities of what types of orchestrated recognition you can see, hear, feel, taste, and smell as listed below. I can see… family and friends, an amazingly wrapped gift, or a lovely food table. I can hear… pleasant, not overly loud music, warm and friendly chatter, or a clear and prepared emcee. I can taste… my favorite ethnic foods or my drink of choice. I can smell… delicious foods on hand or flowers on display. Think of one of your employees. Imagine giving them a special acknowledgment for a significant work action. How could you impact just one of the 5 senses to make the next recognition experience you plan more meaningful for each employee? Make how you give the recognition as important as what you give to an employee. Celebratory events connect us to one another and recharge us emotionally. With careful planning you can orchestrate every aspect of the recognition presentation to make it a meaningful celebration for every employee. Question: What do you do to turn what could be an ordinary presentation into a spectacular celebration?